My focus does not seem to be on any one thing lately. I am busy cleaning up the basement in anticipation of some new Flor tiles coming, special ones for my knitting room too! While it does take my time away from knitting and spinning, in the long run the organization is already helping me to keep on target and catalog all unfinished work and fiber. I am waiting to unveil my knitting/crafting room next week when most things are in place. 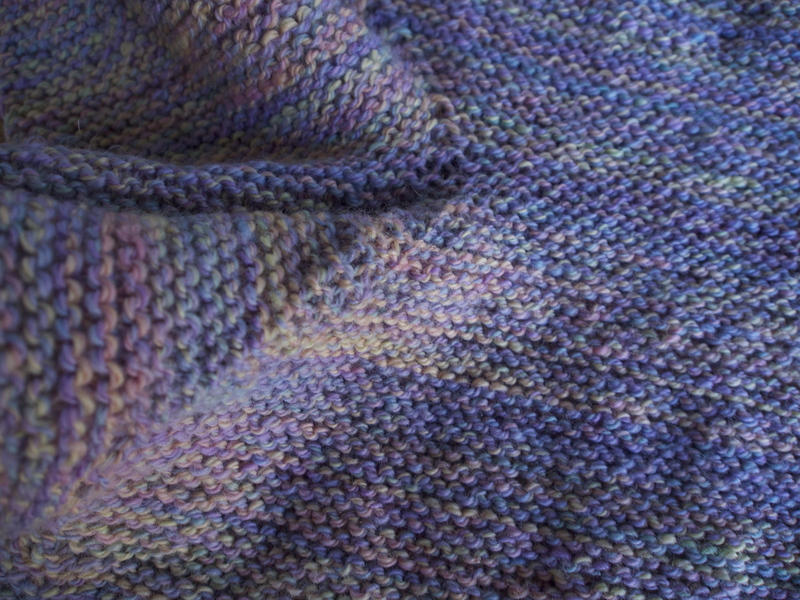 This is a project that I was working on with handspun, as suggested by Mrs. Peterson. Any ideas what it will become? I used up some of my handspun from my earlier spinning days. 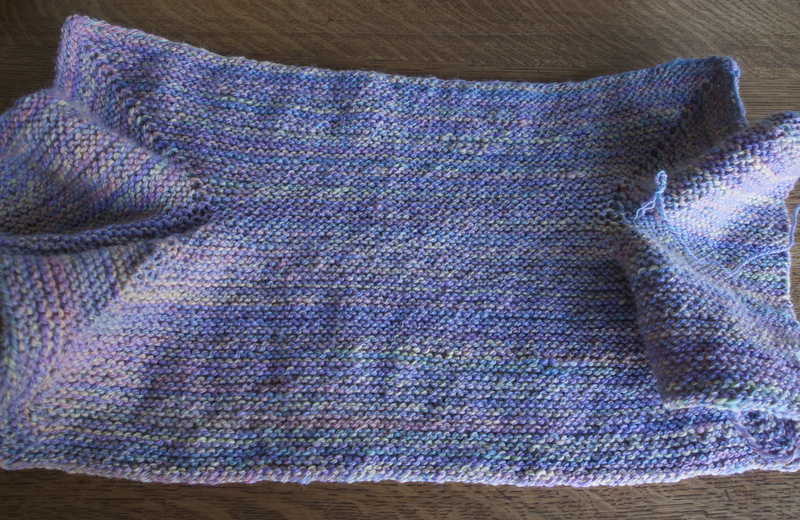 It seems to have knit up fairly evenly. 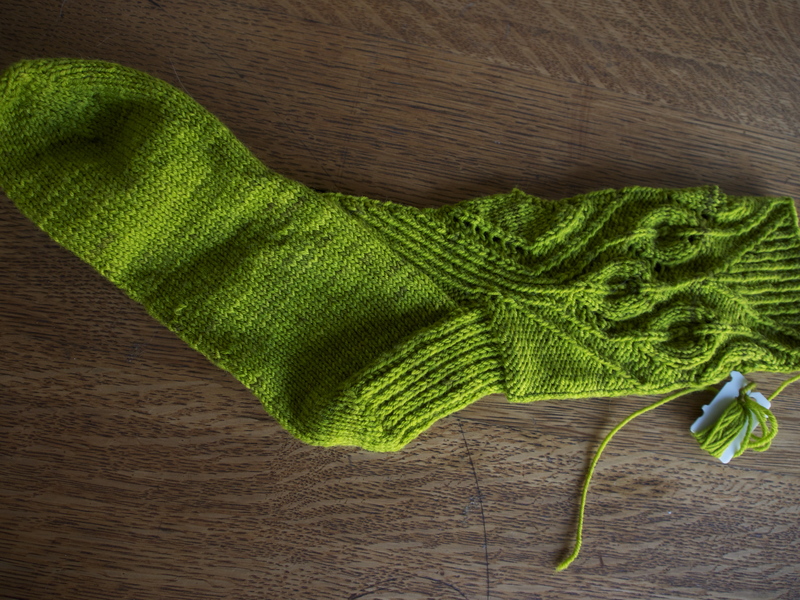 And I am still working away on a pair of CookieA socks, almost to the heel on the 2nd one. 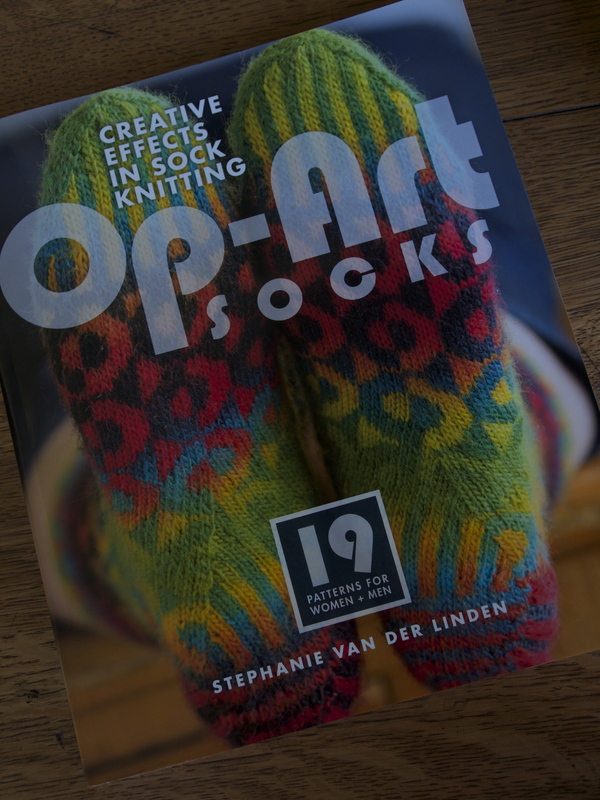 Lastly, the real, in the flesh, copy of Stephanie van der Linden’s book Op-Art Socks came in the mail. I was in love with the book just form the eBook version, but I always like to place my hands on and explore a real book. I find them so much more inspiring, and it is easier to flip back and forth and do side by side comparisons with other books. 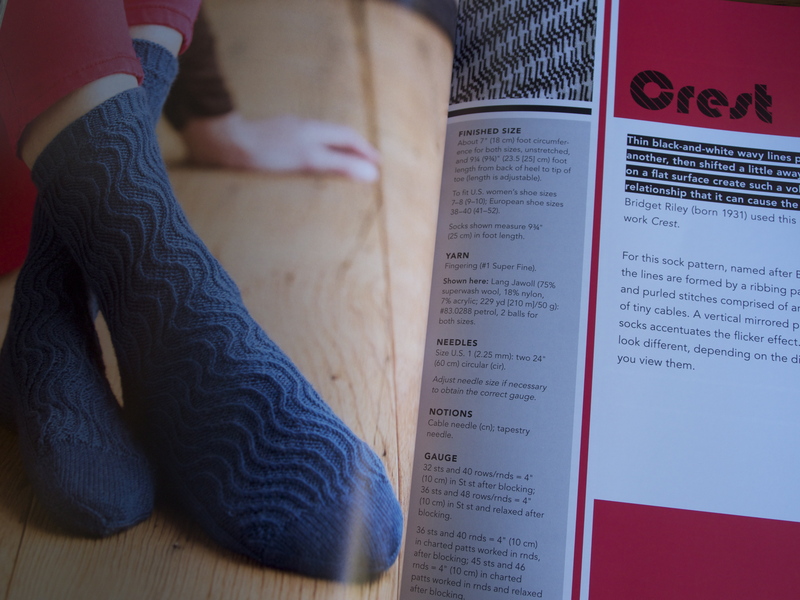 Can’t wait to start on a pair of socks from this collection. 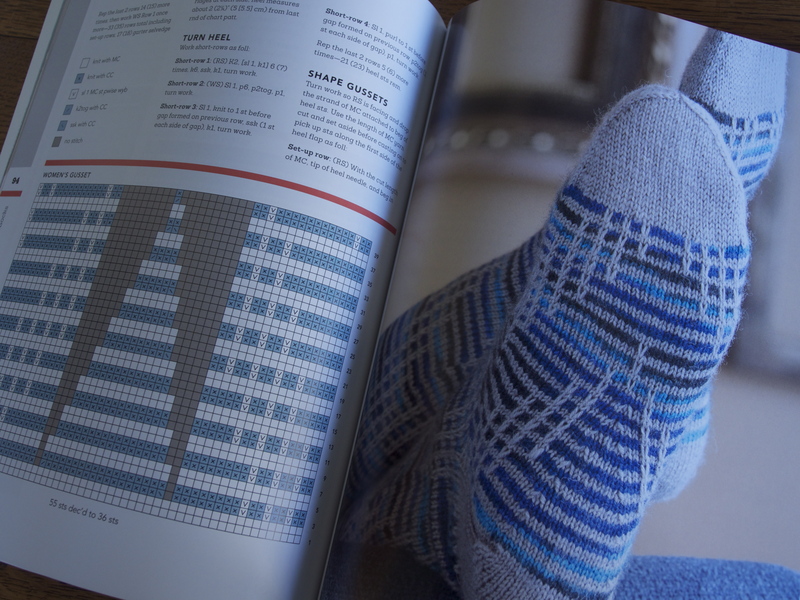 Even if you do not like knitting 2-color pattern socks, there are plenty of single color sock patterns to choose from. 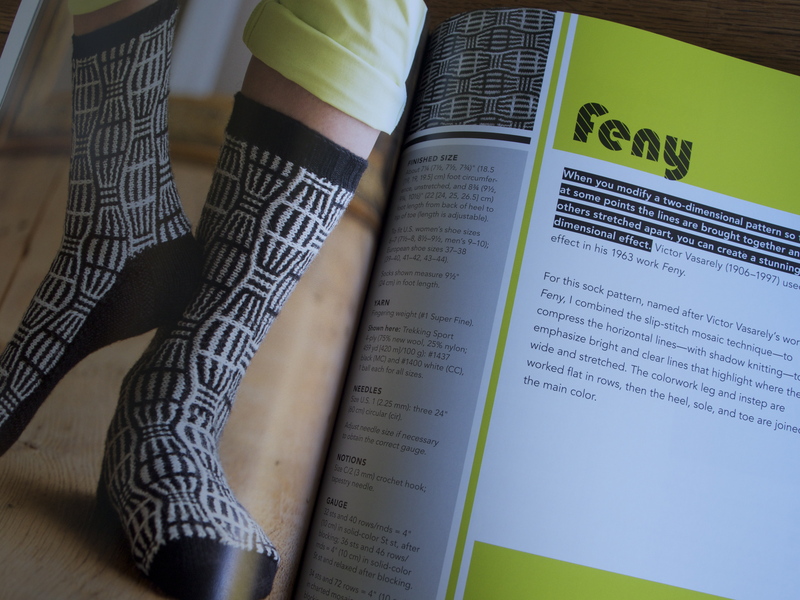 I think a must have book for any sock knitter.